I'll be the first to admit that I'm not an expert in creating side-characters. I think those that I've created have worked well in my stories and part of that comes from a bit of a sixth sense. So, I wouldn't take any of this advice as anything but the ramblings of a person trying to figure it out on their own as well. But, like every part of writing, creating a good side character is about asking a lot of questions. What would be interesting? What purpose would they fill? What would their life be like without the conflict of the main character? How would they add to the conflict? How will they aid in the conflict? I mean, a lot of it is instinctual. For the fantasy book I'm working on, the main trio of heroes are the way they are so that they can have different abilities and perspectives. Each of them is from a different spot on the map so they all have a different way of looking at things. And they don't always agree with each other. Having conflict between the side characters and the main characters is important, I think. They need to be able to challenge them a little bit, and they need to be able to smack them around and tell them when they're screwing up. I think it helps to make them drastically different from the main character. In that fantasy, the lead is a young shieldmaiden who received her sword too soon. Her traveling and fighting companion is a much older dwarf. They're physically different, she's lithe and tall, he's short and stout (as dwarves are wont to be), and where she's hesitant but optimistic, he's surly and pessimistic. They need to be able to have personality traits that play off of each other. Side characters can't be cartoons, either. So often I read books where I hate the side characters because they are nothing but a bundle of quirks. Quirks do not make a good side character. They need to feel every bit as part of the natural world you're building as anything. And they need to play a part in the story. Think about how useful Artoo and Threepio are to the story. There's no question that they're side characters (though, arguably, they're our main POV characters), but having them there matters. 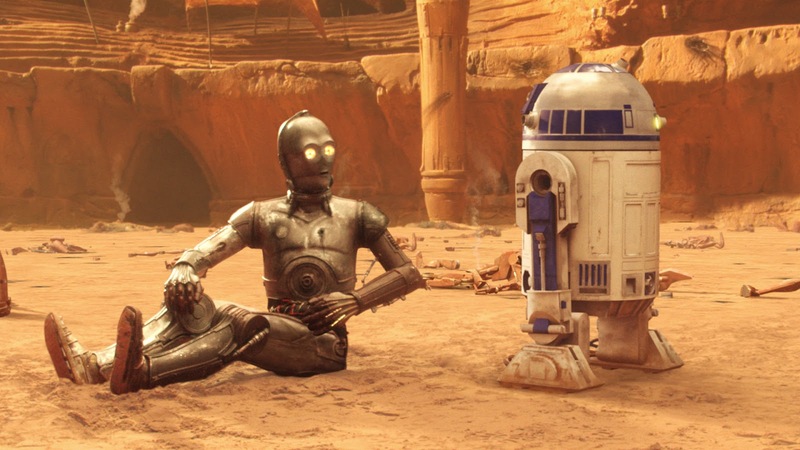 You couldn't get the victory over the Empire without Threepio's translation skills and Artoo's technical acumen. You couldn't get there without Chewie's brute force and piloting skills, either, or Obi-Wan Kenobi's mastery of the Force and sacrifice. Every meaningful side character in Star Wars matters. These character traits are all archetypes Joseph Campbell spoke of in all of his research, and it would do you well to learn about how to use the sword master or the classic rogue or any one of these things to help build a side character. But the most important thing is that they're important to the story and not just an add-on. Some of these characters will appear in your work organically. People have friends that orbit their lives, that's why there are always friends in movies and books. They're natural. But what circumstances lead people to be together? Too often I'll see stories and movies that suffer from that classic roleplaying game trope. "We have no idea why any of these people are in a tavern together, but they're all here and ready to go an adventure, so they will." Characters might seem just added on because the writer needed comic relief or a cannon fodder for when things get messy. You need to motivate these characters every bit as much as your main character. Otherwise, they'll just be limp and feel tacked on. And you never want that for your reader.